We supply and fit a wide range of Vaillant boilers. If you’re not sure which boiler type your home requires read below for the three main boiler types available and what homes they are best suited to. Combination boilers are the most common type of boiler used in the UK. Combi boilers are hugely popular as they don’t require any external parts such as water tanks or cylinders. There are electric or gas combi boilers available. Suited to almost any home but are better suited to homes where multiple people won’t be using a lot of hot water at the same time. Also known as sealed system – come with a water cyclinder which will usually be installed into an airing cupboard, and no water tank. Suitable for homes which require hot water in more than one room at the same time. Also known as open-vent or regular – come with both a water cylinder and tank. Suitable for homes that require hot water in multiple rooms at the same time. From the description of the boiler types above, assess which boiler type is best for your home. If you aren’t quite sure which type you need, one of our friendly team can arrange a home visit to look at your system and advise you free of charge. 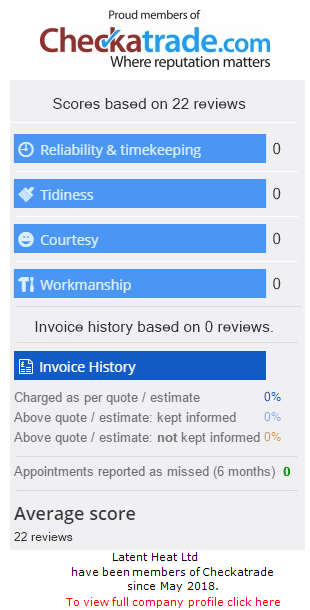 We generally give you a fixed price quote with no hidden costs, once you have agreed to the quote we can agree on a date and time for the work to commence. Our gas safe engineers pride themselves on being neat and respectful in customers homes throughout each job. Installation will be complete to a high standrard with no unexpected costs. You will either have asked for a 5, 7 or 10 year guarantee on your new boiler. On completion of installation we will register your guarantee directly with the manufacturers, bringing you peace of mind.